April 13-20th during regular studio hours. Walk in and paint! No appointment is necessary. 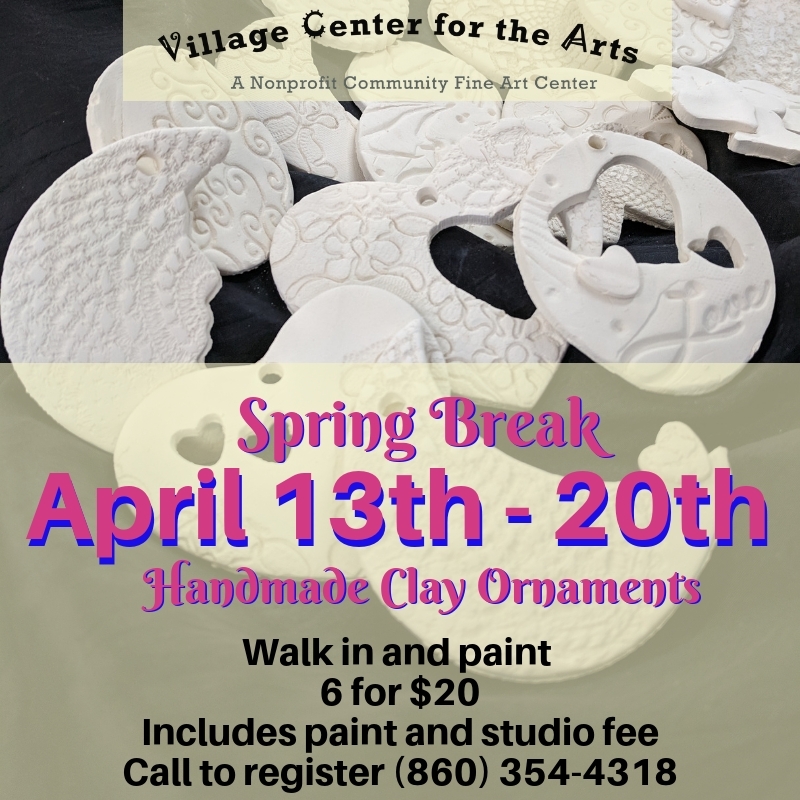 We have handmade clay pieces of various shapes to paint with acrylic during Spring Break. 6 for $20. Includes paint and studio fee. Call us with any questions. We are closed on Sunday, April 21st.